Website visitors are increasingly looking for good content. Blogs, stories, articles and so on are vital to your web success. The main source of information in the B2B sector is articles. Other web content pales into insignificance. Research shows that website visitors come back for the writers, not the content itself. You need star writers to get return visits. You need to add your content at the weekend – whoops…! Blogging at the weekends could be beneficial if you want more people to share your content on social networks. Do you have a content marketing pathway? Content marketing is only worthwhile if you have objectives and a means of achieving them. You need a content marketing pathway to do that. Quality content is fundamental to online success. New research shows it has been essential to the growth of Facebook, for instance. Do not tell me you cannot produce enough content..! Content marketing is essential online but many people say they cannot produce enough of it. These are the same people who manage to write thousands of words every day…! Content marketers appear to think that the word content is equivalent to the word article. It is not, there is so much more to content than articles. How long is too long for content? How long should content be – especially in the business to business world? The answer is not as simple as it seems. Can you suffer from content burnout? The constant demand for fresh online content can bring human problems in terms of burnout and stress, which in turn actually reduce online productivity. Producing more and more content is a real problem for many people. But you have much more content than you think you have. Content of web pages is more important than their design. Research shows that content is what changes behaviour. There is plenty of web content you can copy. But research shows people prefer originality over availability. Microsoft study on content multitasking reveals a problem caused by the Internet. We cannot multitask. People love reading – so get writing…! Written articles bring businesses more ROI than video or other forms of online content. Research shows that writing articles is the best web strategy. Creating Web Content – management of your time and your planning process is essential. 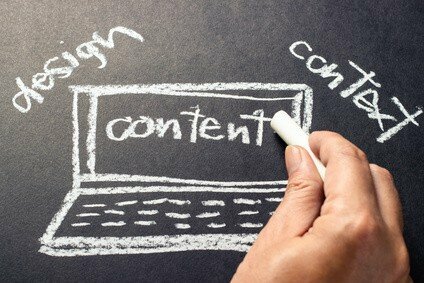 This article shows you how to succeed in creating web content. Web content needs to satisfy four specific areas if it is to grab in the interest of readers. These are the Five Cs of Great Web Content. Content curation is the next big thing online. You can make your mark by being a content curator.